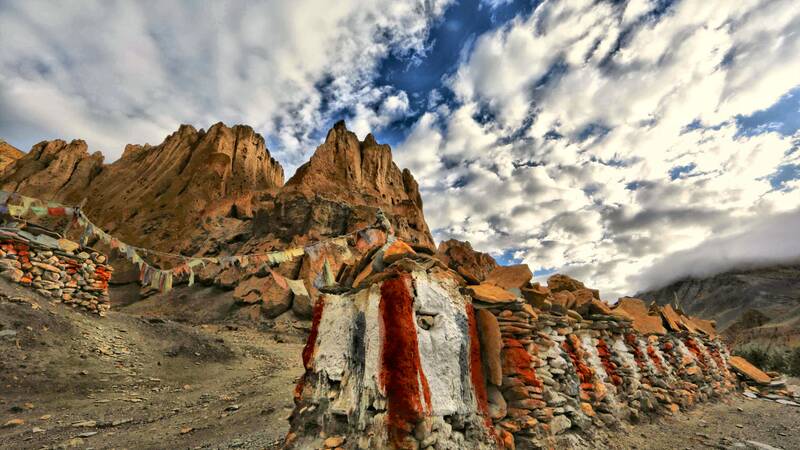 The towering Himalayas were among the last places on Earth that humanity settled. Scaling sheer cliff sides, a team of daring scientists hunts for clues to how ancient people found their way into this forbidding landscape and adapted to survive the high altitude. They discover rock-cut tombs filled with human bones and enigmatic artifacts, including gold masks and Chinese silk dating back thousands of years, and piece together evidence of strange rituals and beliefs designed to ward off the restless spirits of the dead. NOVA Secrets of the Sky Tombs Preview Evidence discovered in the world’s highest tombs reveals ancient rituals and beliefs.